It’s 1983 and the first black woman has just been crowned Miss America. Thirteen-year-old Vanessa wishes she could be beautiful and confident like Vanessa Williams. At home, she struggles with an absent mother, a distant father, and a grandfather who loves her but loves the bottle more. So when Vanessa’s choir teacher encourages her to use her beautiful voice to compete in the middle school’s beauty pageant, Vanessa must face the most difficult relationship in her life: herself. 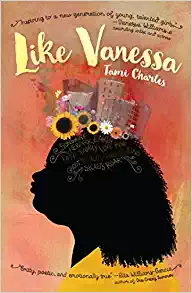 Bursting with diverse themes including LGTBQ+, race, addiction, incarceration, and poverty, Like Vanessa has a protagonist who is the real deal. Vanessa is complex, insecure, amazing, and smells BS a mile away. 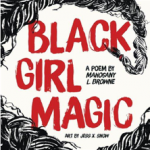 The author’s writing and knowledge portrays an urban setting as authentic as can be complete with gang violence, community support, and poppin’ street beats. 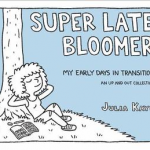 Give to a teen who is tired of society’s beauty standards and wants to meet a real person in a book. Pair with Piecing Me Together by Renee Watson and Lin-Manuel Miranda’s musical In the Heights. Aspiring boxer Ryan Hess has been fighting his whole life, whether it’s to grab the attention of his alcoholic mother, to avoid the verbal abuse of his stepfather who is also the local sheriff, or in the ring, the one place he feels totally himself. 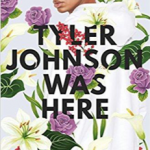 Once he meets Delilah Sandoval, the strong-willed daughter of a prominent judge in Mexico, the attraction is undeniable, but their new romance quickly makes them a target right in the middle of a dangerous web of cartels and dark family secrets. 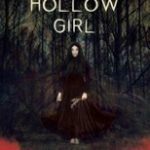 Told in alternating chapters from Ryan and Delilah’s perspectives, the book’s pages are dripping with suspicion and corruption that will hook teen readers wanting to unravel this mystery. 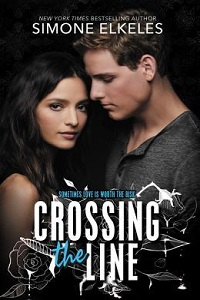 Coupled with a satisfying love story, Crossing the Line offers up a fast-paced read with a surprising twist at the end. Fans of Elkeles’ Perfect Chemistry series or Allison van Diepen’s Run the Risk or On the Edge will gravitate toward this romantic melodrama. New readers will find an ally in Elkeles as her books resonate with teens with non-stop action, emotionally-charged romance, and enough drama to keep the pages turning. Nicholas doesn’t have the fancy pedigree that being his father’s son should have afforded him, but he is determined to make his mark on his father’s sport, fencing. 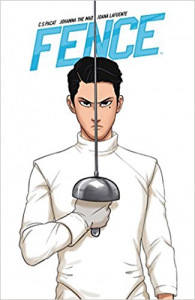 When he is accepted to the prestigious Kings Row boarding school for boys, he learns just how intense the world of fencing can be and must fight for his place on the fencing team and learn how to work with his (and everyone else’s) arch-nemesis Seiji Katayama. With a vast array of diverse characters, Fence is a sharp, quick comic that wastes no time on extraneous information. The characters, even the antagonists, are endearing and amusing. The technical fencing language is easily explained and straightforward, and Johanna the Mad’s illustrations are bright and expressive. The cliffhanger ending will have readers excited for the next volume. Fence has the humor and LGBTQ+ diversity of Mackenzi Lee’s Gentleman’s Guide to Vice and Virtue, and will be a hit with teens who enjoy G. Willow Wilson’s Ms. Marvel and Spinning by Tillie Walden (though the latter is much darker in tone than Fence). Previous Post Volunteer for One of Next Year’s Blogging Teams!